During embryonic development, cells acquire different identities, depending on their spatial positions. This developmental process is called pattern formation. The molecular details of pattern formation are complicated, but are thought to be governed by general principles such as the use of morphogen gradients to provide positional information. We build, study and model synthetic gene regulatory networks to improve our understanding of such general principles. Synthetic gene regulatory networks for pattern formation. 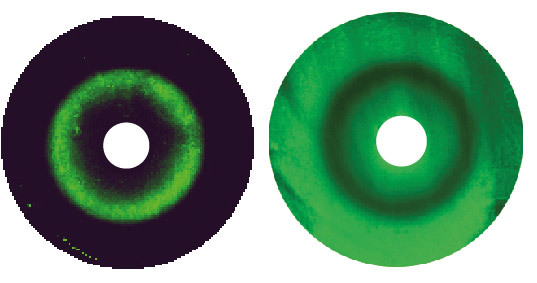 Bacterial lawns carrying a synthetic network display circular patterns as a function of chemical gradients from central paper disks (white). What constrains the evolution of gene regulatory networks? What makes a gene regulatory network robust to mutations and/or evolvable? How does the regulatory mechanism of a network influence its evolution? How can gene regulatory networks change extensively, while maintaining overall circuit output? 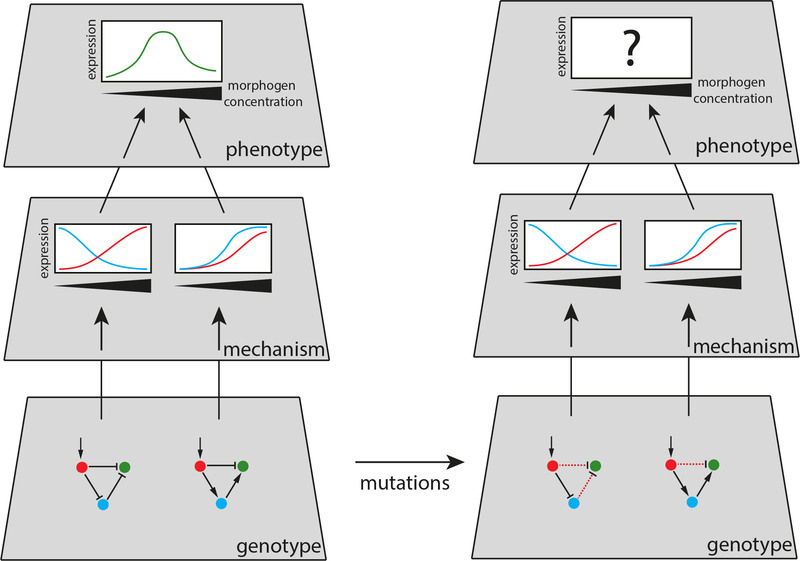 How do mutations in gene regulatory networks interact to produce novel phenotypes? What happens after a gene has been duplicated? We have several ongoing projects where we address such questions by performing molecular evolution experiments with synthetic gene regulatory networks in E. coli. One of the project is funded by a SNSF project grant.